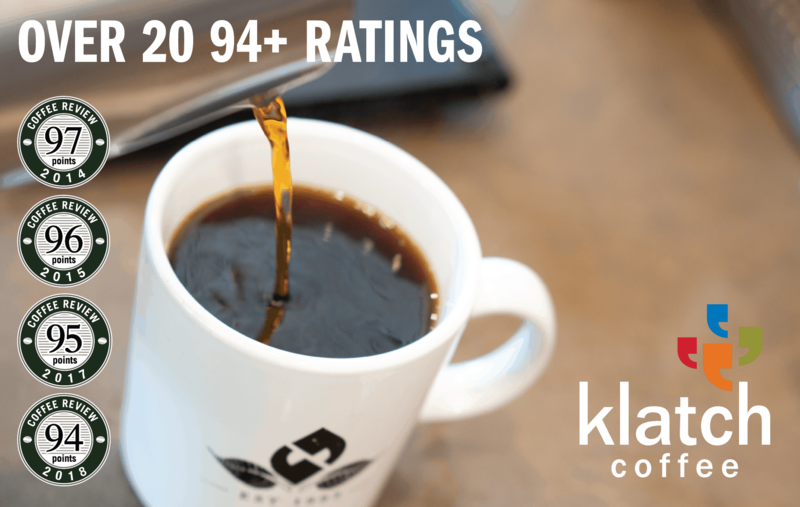 We have published hundreds of espresso reviews since 1997. The reviews below appear in reverse chronological order. You may refine your search by key word or category using links to the right. Older espresso reviews may no longer accurately reflect current versions of the same coffee. Evaluated as espresso. Delicate, crisply sweet-savory. Tamarind, baker’s chocolate, rhododendron, mulberry, oak in aroma and small cup. Confident, satiny-smooth mouthfeel; richly drying finish redolent of chocolate-toned aromatic oak. In three parts milk, chocolate and sweet floral notes merge and bloom, and a pretty hint of tangerine zest also surfaces. Evaluated as espresso. Sweetly bright, tartly juicy. Grapefruit zest, mango, chocolate, fresh-cut fir in aroma and small cup. Very lightly syrupy and lively in mouthfeel. Rounds in the finish and the chocolate comes forward. In three parts milk a dry, orangy chocolate dominates, crisply and pleasingly. Evaluated as espresso. Balanced, deeply and sweetly pungent. Honeysuckle, cashew, baker’s chocolate, cedar, caramel in aroma and small cup. Satiny mouthfeel; crisp, resonant finish that leads with baker’s chocolate in the short, rounding to nut-toned florals in the long. In three-parts milk, full and expressive of cashew butter, baker’s chocolate and honeysuckle. Evaluated as espresso. Floral-toned, lively. Black currant, narcissus, sandalwood, roasted cacao nib, molasses in aroma and small cup. Syrupy, buoyant mouthfeel; gently drying, flavor-saturated finish centered around notes of black currant and narcissus. In three parts milk, centered on narcissus-like florals with cocoa tones and black currant just underneath, with hints of sandalwood resurfacing as well. Evaluated as espresso. Intrigungly complex, balanced. Dark chocolate, molasses, cedar, narcissus, date in aroma and small cup. Satiny-smooth body; sweetly cocoa-toned finish. In three parts milk, floral and cocoa tones lead in the short, while hints of rich date resurface in the long. Evaluated as espresso. Sweetly and richly tart. Graham cracker, lemon zest, hazelnut, pomegranate, clover flower in aroma and small cup. Satiny mouthfeel; gently drying, resonant finish centered around hazelnut and lemon zest. 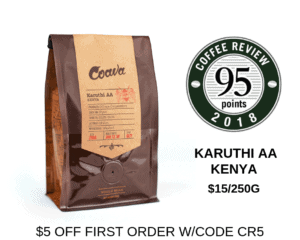 In three parts milk, the sweet-tartness of the cup carries into the chocolate-toned long finish. Evaluated as espresso. Fir, almond, baker’s chocolate, white peppercorn, molasses in aroma and small cup. Satiny though slightly lean mouthfeel. Almond and chocolate dominate in a drying finish. Three parts milk sweetens the nut and chocolate, though the finish remains dry. Evaluated as espresso. Richly sweet-tart, wood-framed. Dark chocolate, tangerine zest, fir, hazelnut, a hint of flowers in aroma and small cup. Dense in mouthfeel; bittersweet chocolate dominates in finish. The chocolate reappears in three-parts milk, though its sweetness is limited by a bitterish, wood-toned edge. Evaluated as espresso. Crisply sweet, spice-toned. Caramel apple, dark chocolate, pecan, cedar, a hint of paprika in aroma and small cup. Velvety mouthfeel; bittersweet finish with notes of dark chocolate and caramel apple in the short and paprika and pecan in the long. Cappuccino-scaled milk balances out the chocolate, fruit, nut and spice tones in pleasingly bittersweet resonance. Evaluated as espresso. Subtle and enveloping, richly sweet-toned. Jasmine, roasted cacao nib, passionfruit, sandalwood, nougat in aroma and small cup. Delicate, silky mouthfeel; cocoa- and sandalwood-toned finish with notes of passionfruit carrying into the long. In three parts milk, passionfruit and jasmine harmonize with cocoa and a pleasing aromatic wood. Evaluated as espresso. Sweetly tart, floral-toned. Honeysuckle, oak, dried apricot, dark chocolate, thyme in aroma and small cup. Delicately syrupy body; gently drying, floral-driven finish in the short and sweetly herb-toned in the long. In three parts milk, chocolate, florals and fruit all take center stage, and thyme-like herb notes gently follow. Evaluated as espresso. Sweet-toned, deeply rich, chocolaty. Vanilla paste, dark chocolate, narcissus, pink grapefruit zest, black cherry in aroma and cup. Plush, syrupy mouthfeel; resonant, flavor-saturated finish. In three parts milk, rich chocolate tones intensify, along with intimations of vanilla paste and black cherry in the short finish and floral-toned citrus zest in the long. Evaluated as espresso. Big-bodied, complexly structured: sweet-savory-tart. Notes of dark chocolate, plumeria, peach, cumin, pistachio in aroma and small cup. Plush, syrupy mouthfeel. Chocolate carries into a dry though richly expressed finish. The dark chocolate, pistachio and peach-toned fruit notes carry crisply but seductively into three-parts milk. Evaluated as espresso. Delicate, subtle, balanced. Roasted cacao nib, clover flowers, molasses, cedar, orange zest in aroma and small cup. Satiny-smooth body; sweetly nut-toned finish. In three parts milk, floral and cocoa tones bloom in the short, while hints of bright orange zest resurface in the long.